Nicholas Mulila is responsible for the Business Risk Management strategy, Cyber security management, Revenue Assurance, AML/CTF Program, Insurance, Ethics & Compliance, and Physical Security. 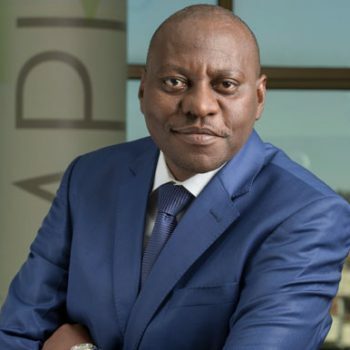 He joined Safaricom in 2001 as a Senior Management Accountant in the Finance Division and has risen steadily through the ranks to serve the company in various capacities including the positions of Principal Business Planning & Forecasting Accountant, Head of Corporate Strategy, Head of Commercial Planning & Pricing, Executive Business Analyst, Director Risk Management and currently Chief Corporate Security Officer. Nicholas has 20 years’ experience in Strategy formulation and execution, financial management, Business Analysis, Risk Management and Corporate Governance. Prior to joining Safaricom, Nicholas had worked for General Motors (EA) and Eastern produce (K) Ltd, where he held various positions in Finance. Mr. Mulila holds a Master’s of Business Administration degree in Strategy, and a Bachelor of Commerce degree (Accounting option) from the University of Nairobi, He is a Professional Accountant and Co. Secretary, a member of the Institute of Certified Public Accountants of Kenya (ICPAK) as well as the Institute of Certified Public Secretaries of Kenya (ICPSK). He is also member of the American Society for Industrial Security International (ASIS).